First impressions are vital in the real estate space; in fact, 50 percent of buyers found the home they purchased via the internet, according to the 2017 National Association of REALTORS® (NAR) Profile of Home Buyers and Sellers. Today, buyers are flooded by a sea of options when browsing for a home online; therefore, it’s more important than ever that REALTORS® make their listings stand out. “Drones can play an important role in telling a compelling story for a listing,” says AJ Canaria, executive brand promoter at PlanOmatic, who emphasizes that the art of storytelling in real estate has evolved, making drones an increasingly popular tool for breathing in life to a property’s narrative. “Whether it be photography or video, drones give a different perspective that allows the consumer to visualize scale and proximity of neighboring areas and imagine a lifestyle,” Canaria says. “The true value is in the storytelling of the property, but it’s also in what the agent brings to their brand,” Canaria emphasizes. 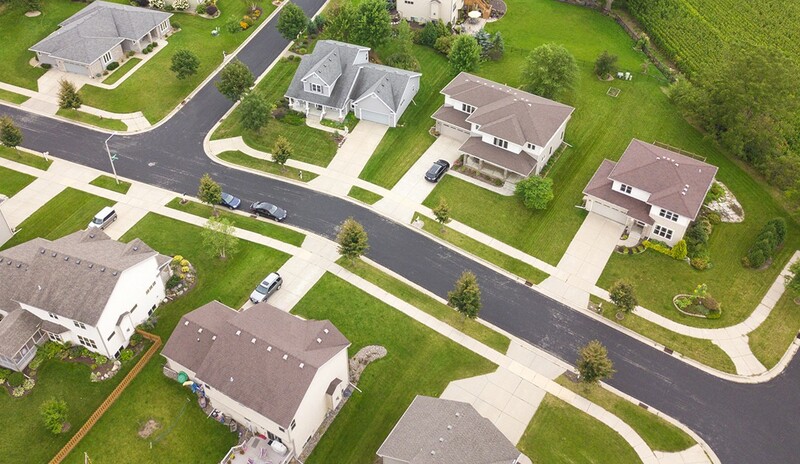 “The agents that know how to bring the most out of the property by utilizing drone services to elevate the listing have a powerful tool to help them sell faster.